The little animals in the Down on the Farm collection are absolutely adorable. 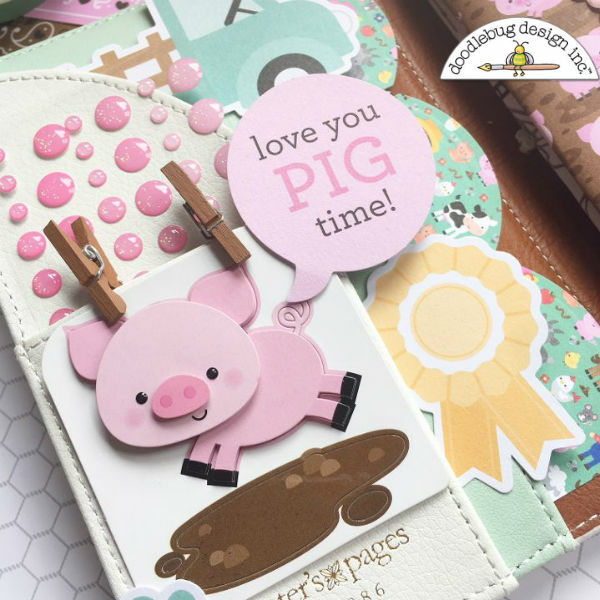 I decided to do a pig themed spread in my pocket sized travelers notebook and I love how it turned out. 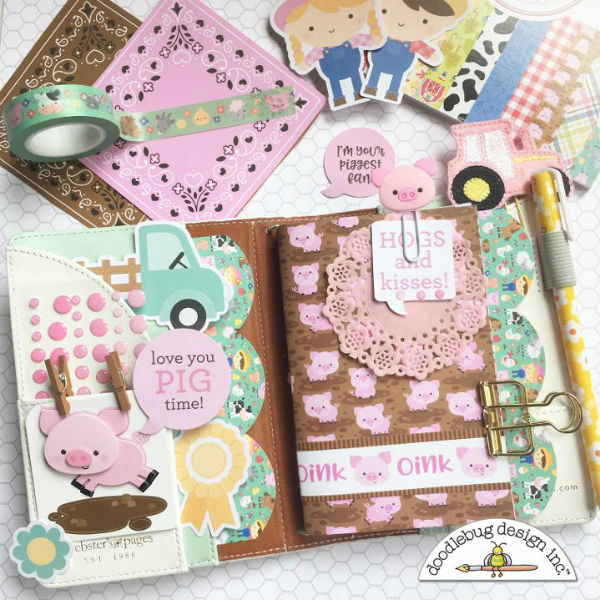 There are lots of adorable pieces that work together from the die cuts, chit chats, icon stickers and the papers. Here's how my pocket and dash board turned out. 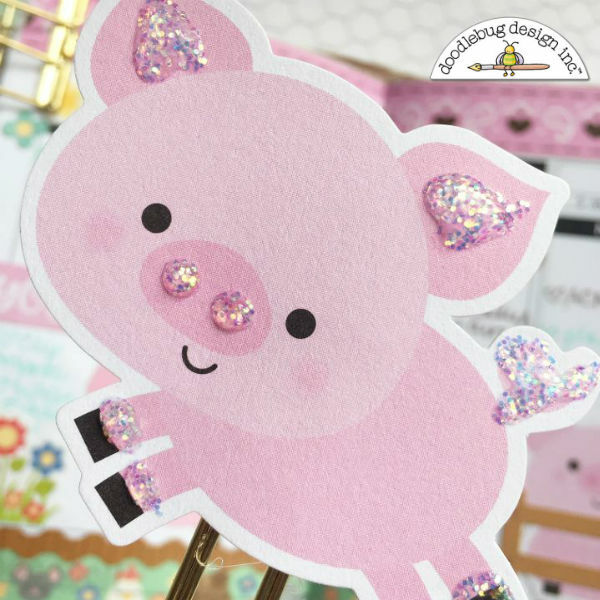 I chose the aqua paper and elements to accent the cute pink and brown of the pig elements. 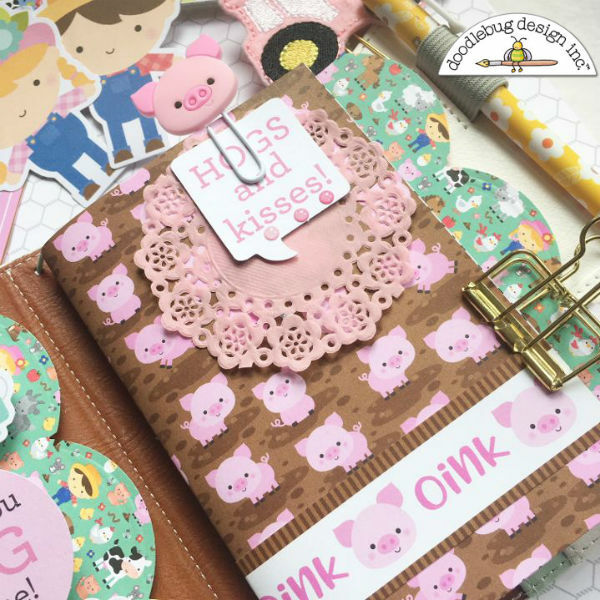 I covered my insert with this adorable paper and added the 'oink' strip. The jelly clip was the perfect accent. I am in love with them! A few pink sprinkles were a great way to add dimension to the chit chat speech bubble. I tucked a few of my favorite things into the pockets. The small clothespins are so perfect for this. I decided to use the Doodlepop as a design element and trimmed the top part of the card off before attaching it. Creating my daily spread was a lot of fun using the sweet stickers. I used some washi along the bottom and added a paper strip along the top to serve as some faux washi. I love using the Abigail stickers as my dates. 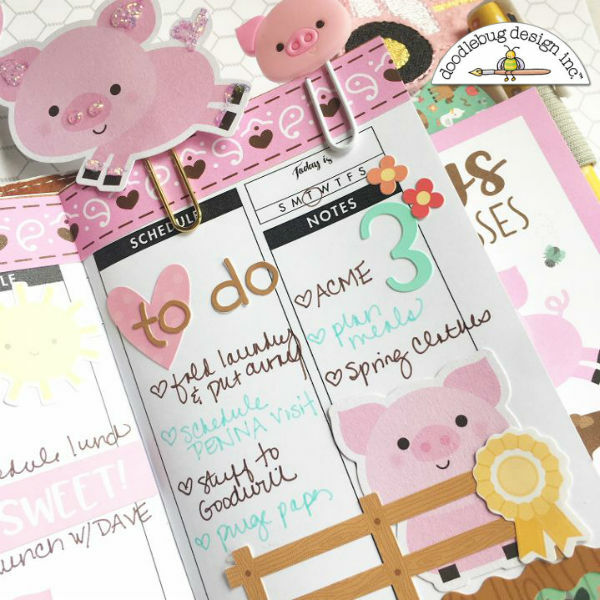 This little chit chat was a nice way to create some planning boxes on this page. The icon stickers created such a cute scene, too. 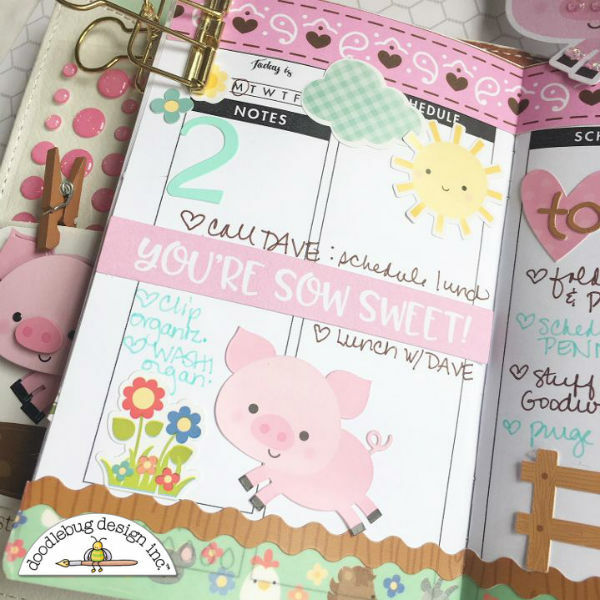 I added a fun planner clip on this page. I created it with a die cut. I added some Diamond Stickles to it for dimension. I also enjoy laminating my die cuts to make clips. 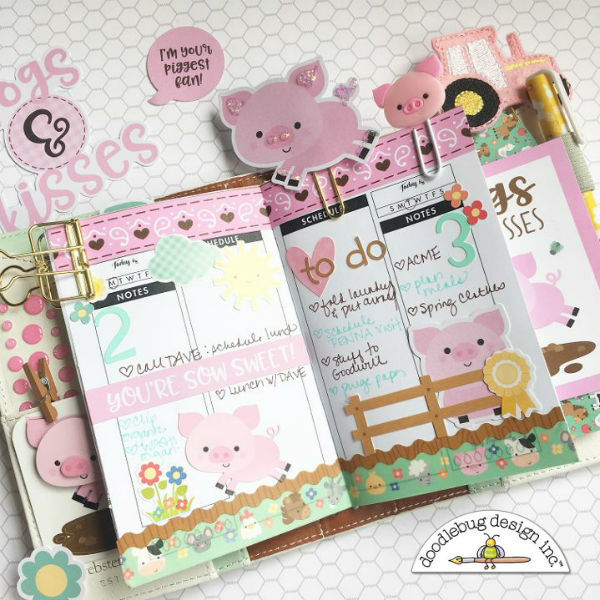 Hope you enjoyed seeing how the cute little pig can be used in a planner set up. He just makes me smile! Thanks for stopping by! Absolutely adorable, love the little pig clip you made!